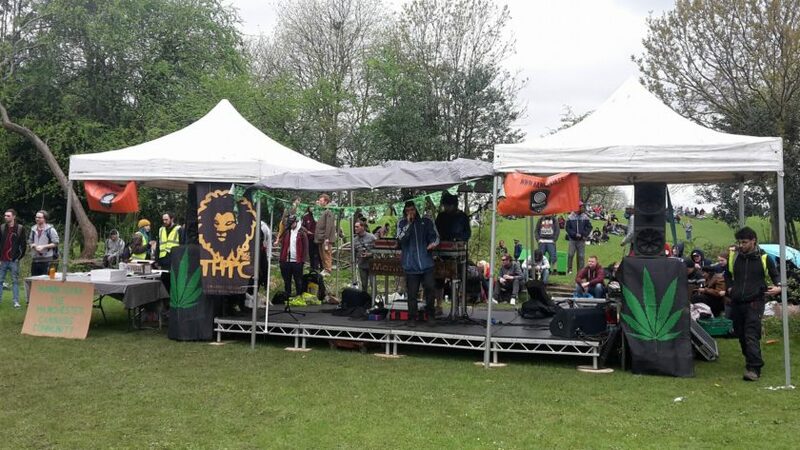 Manchester, a city known as “The Hive” back in the industrial revolution (due to the sheer number of people who were working in the metropolitan), has been a city full off activists keeping cannabis a relevant topic and raising awareness amongst the public. News reports about the “zombified” spice smokers in the streets that have been covered by local and mainstream media have given opponents of the war on drugs some key battleground issues to converse. I was keen to see what the Mannijuana community was up to. With the wind down to the 420 weekend finally underway, I found recovery from London’s ganjapalooza on Friday by soaking up some of the sea breeze at the Adur Recreation ground in Shoreham – quite a different affair, with a minimal yet meaningful congregation of local cannabis enthusiasts who had come out to chill on the green and roll up some of their favourite herbs together. 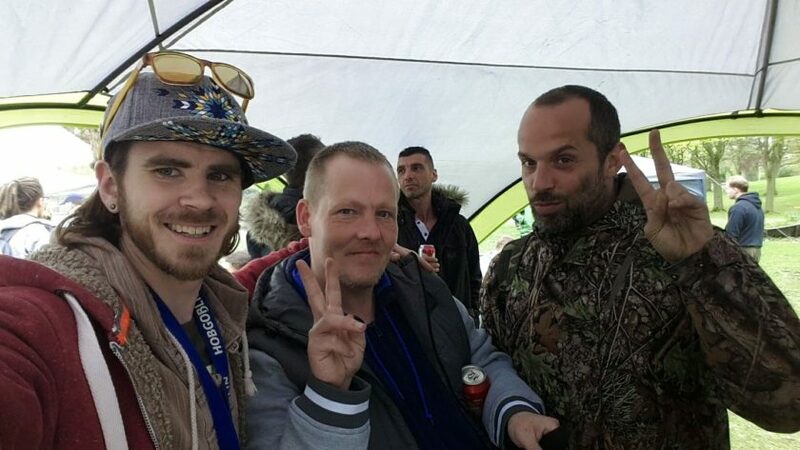 Adur and Worthing Cannabis Club who hosted the meet are run by a group of friends including a father and son duo – Frenchie and Courtland, who have been a wonderful addition to the UK Cannabis Social Club’s family. Pitching in to help at many local club events along the coast and learning as much as they can about the movement and what it takes to grow a community and build a localised club movement. The turnout was predominantly the 30+ age group and a few that had popped out to “walk the dog” and see what was going down, an occasion that matched the pace of the town. A four hour car journey ahead, I hit the road with some excitement as the Manchester cannabis scene is starting to catch its buzz. Seeing photos and short video clips online of previous gatherings has definitely given off the impression that they know how to have a good time – and man, was I in for something different! Well that is what they say up here “We do things different in Manchester”. 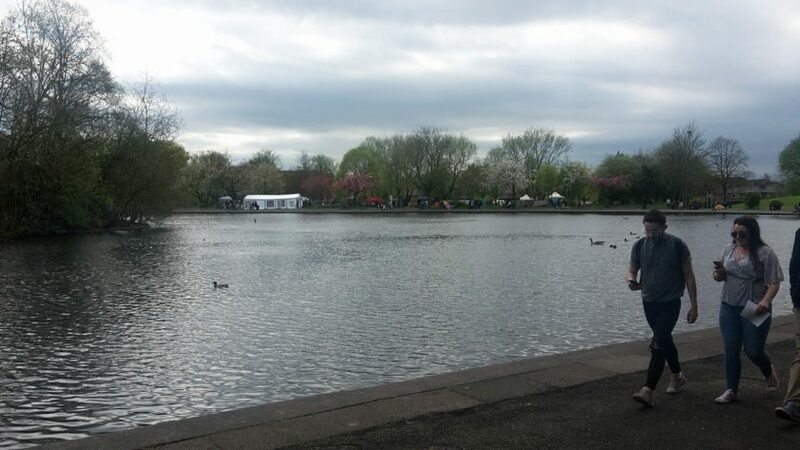 So without stopping, I wasted no time and arrived outside Platt Fields Park at 13:45. The sun was shining, not as brightly as the past two days and I was starting to wonder if the shorts were a good idea. I could hear the irie beats waving through the air as I walked through the park entrance, no sign of any police yet. As I walked over a little bridge it brought me to an opening of a duck pond where behind was the setting of Mannijuana’s 420 Gathering. Gazebos, flags, chilled tunes and the dank smells of BBQ’s and burning cannabis in the air. The first hour was full of saying hello to the club tribe. It’s always a mix mash and a cannabis tombola as to who is going to be at these events but whatever the line up, good times and some great meaningful conversations are had. 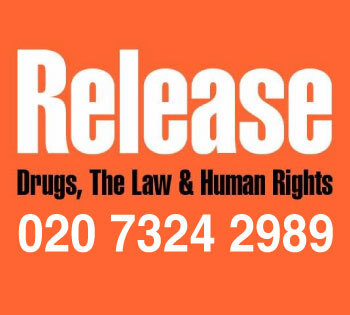 It really is nice to know these people knowing that they are out there making the change in the world that we all want to see and helping some of the patients that the UK Government has abandoned. I had a look around the lineup of booths that were set up around the sides of the main stage hosted by Skittles. Musicians were jamming out some ska with people dancing to the sounds – it felt like I was at the Portland Hempstock, or something back from my travels to the US legal states in 2011. 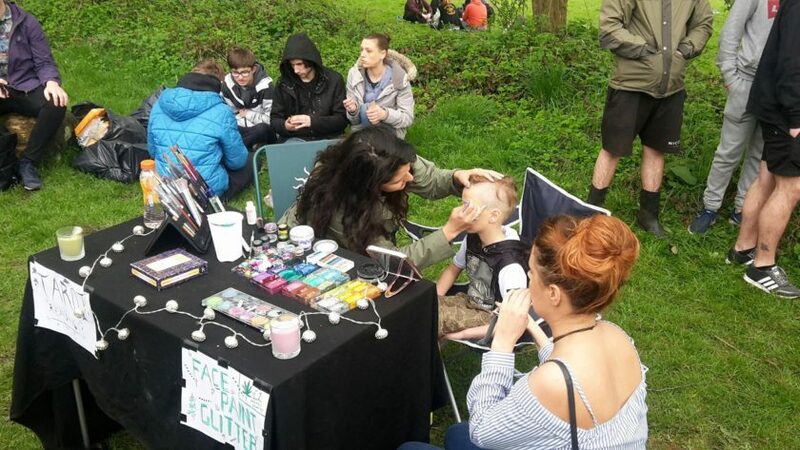 Children having their faces painted, food vendors for everyone, local businesses with stalls selling their products. This definitely brought a smile to my face. Not long after, I spotted the Medical Marijuana Genetics gazebo who kindly let us put out our UKCSC tees and leaflets on their stand. The Tottenham Compassion Club, John Green of MMJ Genetics, Denzil Met and myself took to the Speakers Corner Stage and spoke about the different parts of activism they cover which was welcomed and cheered for by the crowd. That special time soon came around and the signature haze slowly grew as everyone lit up together for the first time that day – well, everyone had blazed freely and unchallenged all day but when everyone does it all at once, it’s always awe-inspiring to see. Visual peace. Moments later, rain started to fall and a few picnic groups thought it was the end of the day and packed up rushing off hoping to stay dry. They missed the party though it seems as things were just hotting up over on the mainstage with DJ’s starting to get pretty involved with the decks. 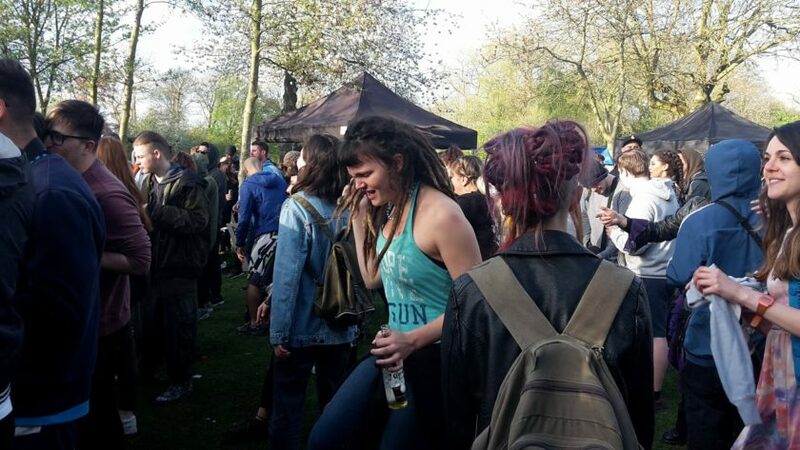 From 4:20pm onwards the space around the mainstage started to fill up with stomping feet and energetic bodies getting involved on the grassy dancefloor to some pretty heavy drum and bass that was pumping out of the marijuana leaf speakers either side. Even the dogs were getting in on the action! We spoke with Cookie Love and Joe Vicker the coordinators of Manchester 420 and Coordinators of the Mannijuana community. Cookie is an incredible artist that works primarily with silver ink on black and has recently released a line of work on the Instagram account @cookiesorgetthefuckout. Joe is a videographer producing video content for online audiences. 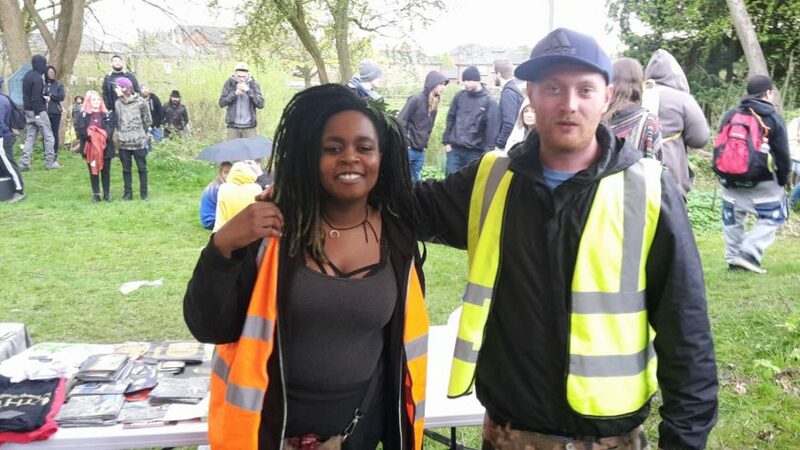 The pair have worked together to host talks, gatherings, protests and community outreach around the cannabis topic in Manchester for five years but this is the fourth year that the 420 celebrations have been organised. 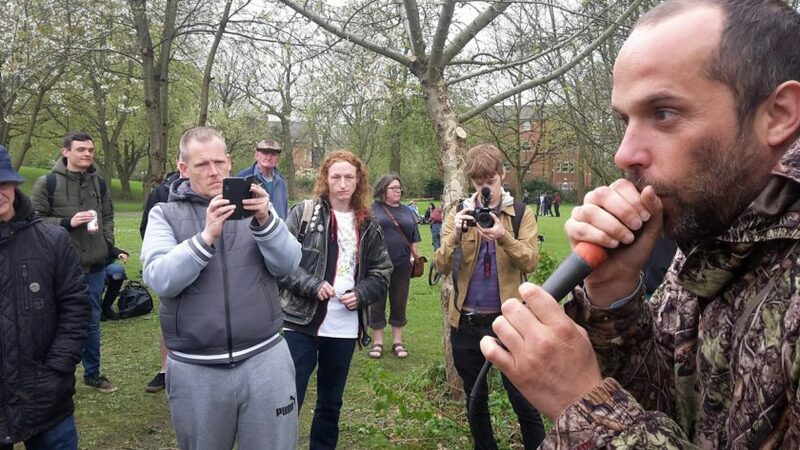 Joe had been down the park since 9am and to his surprise, the park keepers were not letting them move any of the equipment or the stage into the grounds to set up at Speakers Corner, an area of the park that is allocated for the freedom of speech and gathering of people. 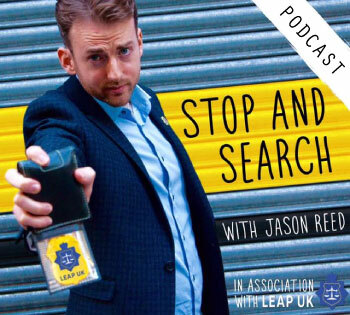 “This year full communication had taken place with the police, they have been really good to work with and encouraging of the event” Joe had told me, so he got on the phone to them to tell them of the situation. 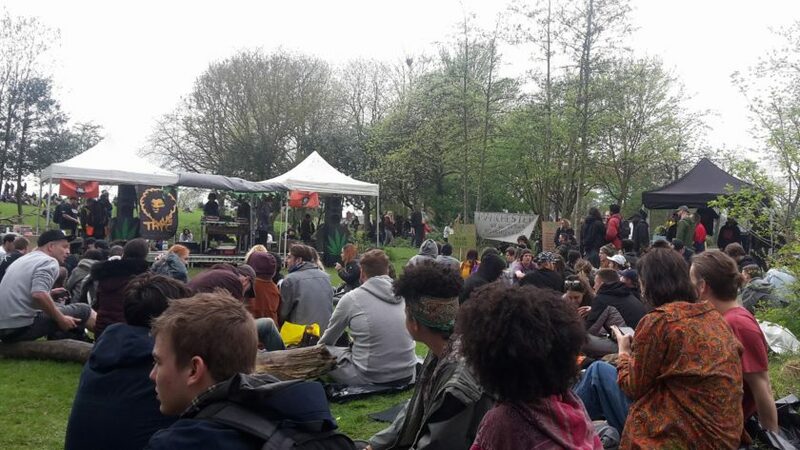 Even though the police were asking the council to back down and let the cannabis event go ahead, Mannijuana were still facing some opposition. 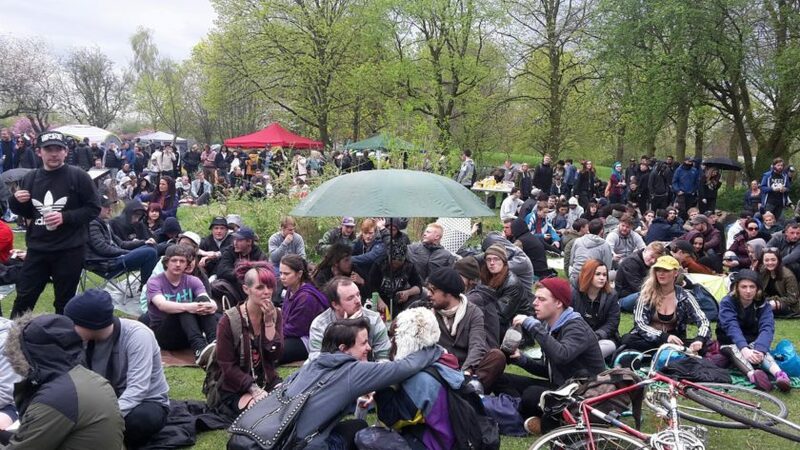 Eventually, after speaking to the right person, the activists, who put on the fun day of togetherness for all Mancunians got an apology and were let into the park. 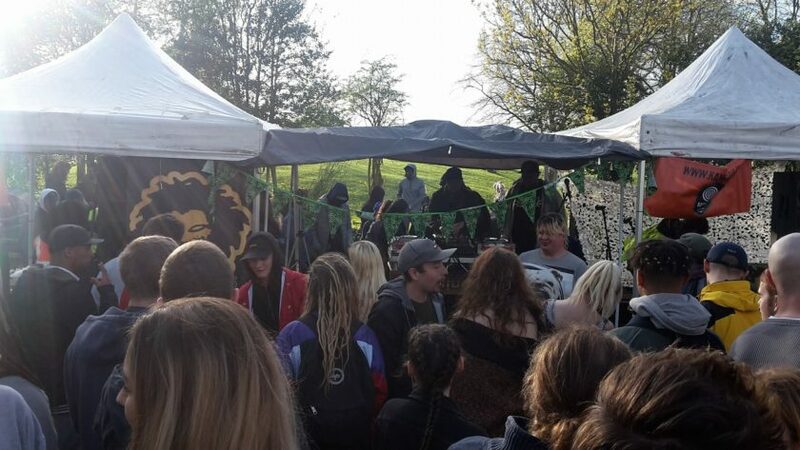 Whilst half of the 420 events this year have faced some adversity, organisers have not backed down and made sure that the celebrations and protests have happened. Time For Manchester To Grow? The intimate vibe that Mannijuana have created here is going to grow into something incredibly beautiful in years to come. They are very much open to any ideas that the community have and when it comes to pitching in they will definitely welcome your offers of help. “Absolutely blown away by the turn out on the day! If it wasn’t for the pesky grey clouds, we would have drawn our usual crowd but it was busy and happy nonetheless. 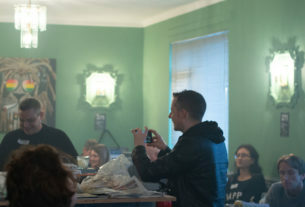 “Highlights of the day were all our artists and musicians and speakers who performed, being presented with a beautiful cake from Nannies Gourmet Edibles and seeing the smile on the winners face of the Mighty Vapouriser donated to us by Namaste Vapes. 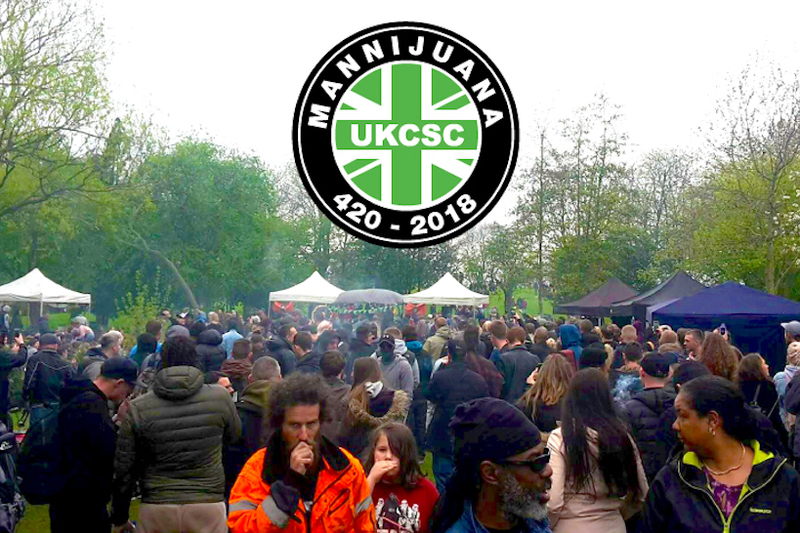 Mannijuana aims to start hosting more regular community events too, “We plan to do more events, film nights, talks, and hopefully more outdoor events if time and commitments allow it. 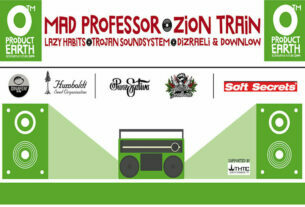 It takes around 3 months of preparations and meetings and sending out support emails to organise our 420 Gathering. We create a true festival vibe so people can come down and let loose and celebrate the mighty herb. 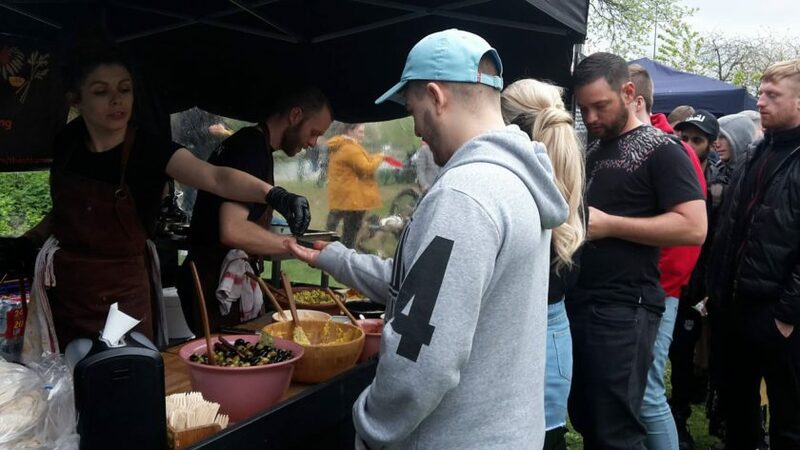 “We struggle each year for volunteers to support us on the day with set up and pack down but luckily after arriving at the event, the community mentality kicks in and people really get involved. 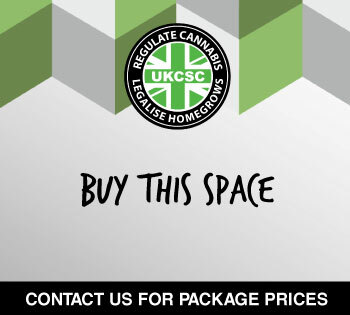 If you would like to help with next years event please contact us via our cannabis community group”. Joe and Cookie wanted to see the change so they decided to be the change. They have laid down some really suitable foundations for this community to grow and go on and try to create a private cannabis social club. I can only imagine what a great job they would be capable of carrying out. There is a question of whether the MCR police force will be open to the idea of following a similar path that Ron Hogg. Hopefully we will see other Police Chiefs and Police Crime Commissioners, such as Arfon Jones in North Wales who recently visited Teesside Cannabis Club’s venue “Exhale” in Middlesbrough recently. 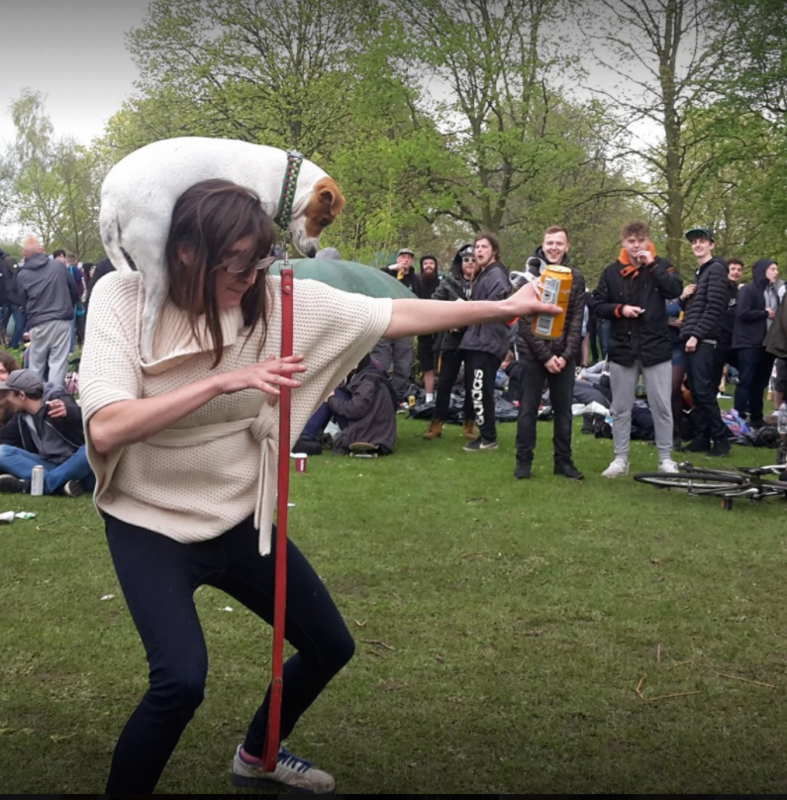 With the bad press that Manchester have had over epidemic levels of synthetic cannabis (spice, black mamba) seen regularly on the streets, providing a safer option at a community event to consenting adults might not be such a bad solution.